Batu Caves is a limestone hill, which has a series of caves and cave temples, in the Gombak district, 13 kilometres (8 mi) north of Kuala Lumpur, Malaysia. It takes its name from the Sungai Batu or Batu River, which flows past the hill. 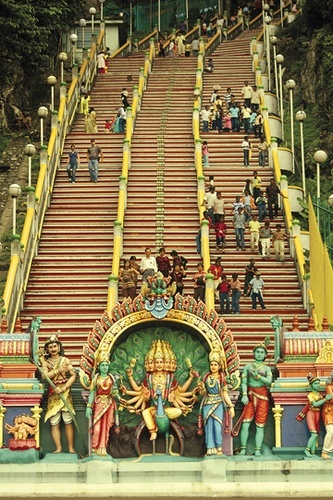 Batu Caves is also the name of the nearby village.